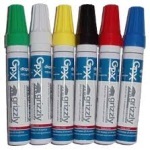 GP-X Anchor Markers are a new line of water based markers. 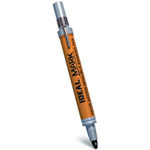 They contain less solvents which makes them safer for handling, for the environment, and to ship. 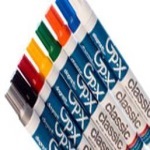 The GP-X Anchor contains no Hazardous Air Pollutants (HAPs), no Proposition 65 Reportable Chemicals, is SARA 313 Compliant, CONEG/RoHS Compliant, and has VOCs less than one pound per gallon.